Pakistan, a country whose range includes high mountains, arid plains and low lying coastal areas, is extremely vulnerable to a whole diversity of CC impacts.Pakistan‘s total GHG emissions in 2008 amounted to 309 million tons (mt) of carbon dioxide (CO2) equivalent. Pakistan‘s biggest contributor is the energy sector with a 50% share followed by the agriculture sector (39%), industrial processes (6%) and other activities (5%). Pakistan, a country whose range includes high mountains, arid plains and low lying coastal areas, is extremely vulnerable to a whole diversity of CC impacts.Pakistan‘s total GHG emissions in 2008 amounted to 309 million tons (mt) of carbon dioxide (CO2) equivalent. Pakistan‘s biggest contributor is the energy sector with a 50% share followed by the agriculture sector (39%), industrial processes (6%) and other activities (5%). Pakistan‘s GHG emissions have nearly doubled in the past 16 years, but due to the fact that emissions are still only about 0.8% of the global scale, a miniscule amount, they are not yet considered alarming. In fact, on a global scale Pakistan ranks 135th in per capita GHG emissions amongst the comity of nations (Planning Commission, 2010). This information leads to the scientific reality governing all GHG emissions: they are mainly created by the developed world yet their consequences are felt globally. Much like other developing countries, Pakistan is highly vulnerable to the adverse impacts of climate change, putting its water, food and energy security, as well as the livelihoods of millions of people, at stake. In Pakistan, as on a global scale, water, food and energy create a nexus of interdependence whose balance is thrown off by a globally changing climate. The nation‘s already hot climate and changing patterns of snowmelt and precipitation exacerbate existing social and economic pressures on natural resources. This in turn increases the pressure on valuable ecosystem services provided by the rivers, its delta and the sea, whom which poor communities are entirely dependent for livelihoods and survival. Lack of environmental flows to the deltaic area is likely to expose around 2.26 million people to water scarcity, rising sea levels and food insecurity. However upstream, the areas around the river are under the threat of Glacial Lake Outburst Floods (GLOFs), which collectively are the major climate related threats Pakistan faces presently. Pakistan‘s further depreciation from a water-stressed to a water-scarce nation, due to anthropogenic activity and a changing climate, influences the country‘s capacity for food and energy creation. The facts that the Government of Pakistan has made no action plan to tackle these crises, a low public awareness and limited technical abilities create a more difficult path towards alleviating the CC crisis. As we can see, the effort that needs to be made to counter, adapt and mitigate the negative effects of CC, must come as a collaborative effort from all levels of society and all departments of the government as the proposed solutions cannot be tightly packed in a compartment labeled mitigation or adaptation. However seeing the ground realities of CC, it is pertinent to take adaptation more seriously as identified by government of Pakistan, owing to the debate of the water, food and energy security of the nation. However being a responsible member of international community, Pakistan should also contribute to the global mitigation efforts as discussed above. Climate Change in the context of Pakistan is posing three big challenges relating to the water, food and energy security of the country. However, a careful analysis shows that all these securities are interlinked and are dependent on each other. A concerted approach by all relevant departments would be beneficial instead of adopting a silo approach. Looking at the very alarming situation of climate change in Pakistan Caritas Pakistan has worked on this issues through its two major national programs first one Livelihood and Food Security Program and secondly through Disaster Risk Reduction Program. 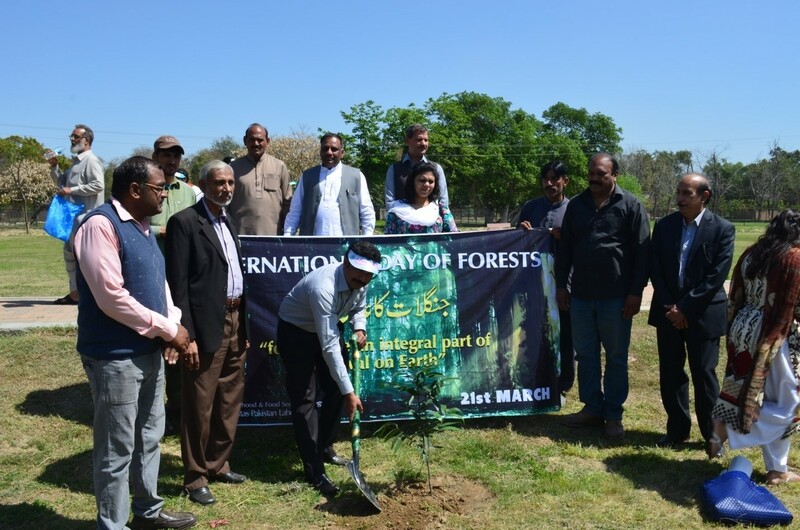 Farmers, talents, women, youth, disaster prone communities, Government line departments and other relevant stakeholders have been part of different activities throughout Pakistan. This work has been done in Pakistan through 7 diocesan units of Caritas Pakistan. After reviewing of different research studies, passing through different interventions at Government and community level looking at the threat related to Pakistan, Caritas Pakistan has decided to work on Climate Change with some new and specific approach. Some steps have been taken in this regards and future guidelines principles have been set for this approach. This main purpose of this approach is to complement through its interventions on climate change on the commitments and agreements by Government of Pakistan with International Community and with its people in the context of Climate Change. In March 2015 a desk on Climate Change has been set up with the appointment of National Focal Person. In every diocesan unit a diocesan focal person for climate change has been appointed to carry out the different interventions focusing on climate change. “Strengthen Communities on Climate Change through Awareness, Capacity Building and other Initiatives in Pakistan”. • To aware the general public specially women, youth, students, religious leaders, teachers, farmers about climate change related issues. • To build the capacity of youth, women, farmers, social and political leaders and student through training sessions and workshops. • To plan advocacy campaigns on climate change issues at national and provincial level. • To established linkages and networking with organizations, networks internationally, regionally and nationally for information sharing and learning on climate change.